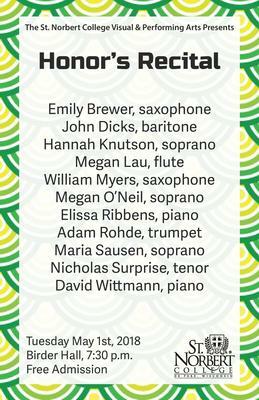 This concert features the most prominent music students at St. Norbert. To perform in this recital, students must audition for Music Faculty and be selected to perform. This concert was performed at Dudley Birder Hall. St. Norbert College Music Department, "Honors Recital" (2018). Music Performances. 44.